Q. Can I use the Sure-Set if I’m a left-handed golfer? A. Yes the Sure-Set is available in a left-handed version. Please choose the left-handed purchase option from the drop down menu at check-out. Q. 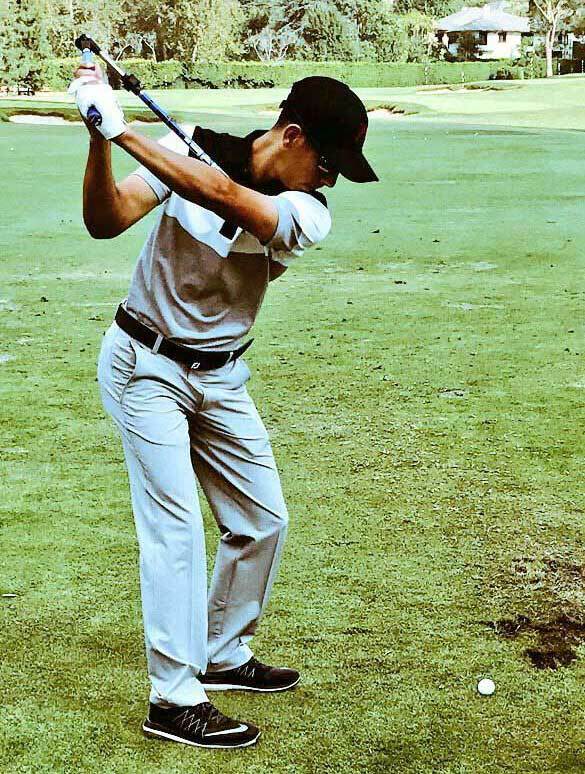 Does the Sure-Set teach the follow-through? A. The Sure-Set does not teach the follow-through, we believe that if you learn the fundamentals of the backswing and transition/downswing sensations correctly then impact and follow-through should be automated. The golf club will automatically swish freely through impact, creating speed and power at the right time. Choose the left-handed or right-handed purchase option from the drop down menu at check-out. Q. Why does the Sure-Set have two settings? A. 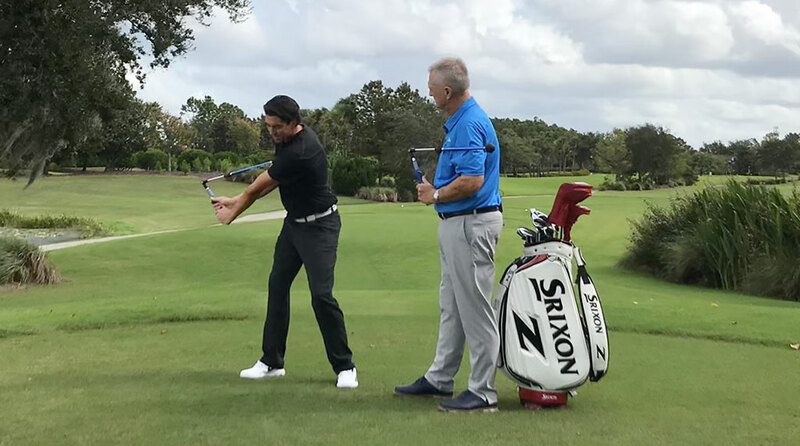 The Sure-Set has two settings to allow for two different hinge positions in the backswing, two different patterns of golf swing. 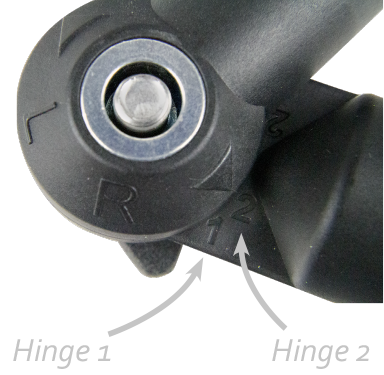 Hinge setting 2: This will generate a more traditional 90-degree wrist set. Q. How often will I have to use the Sure-Set before my swing changes? A. The beauty of the Sure-Set is that you only have to work little and often in order to make a permanent lasting change to your golf swing. It works around the principle of proprioception – that’s re-educating your golfing muscles to make the right moves. The portability of the Sure-Set allows you to take it with you wherever you go, use it as a warm-up device before playing, at home when you’ve watching the golf, or in the office between meetings. When you are at the practice ground it is highly recommended to work on a ratio of 10:1. That’s 10 rehearsal swings with the Sure-Set to each ball hit. Q. Will the Sure-Set suit me if I have big hands? A. 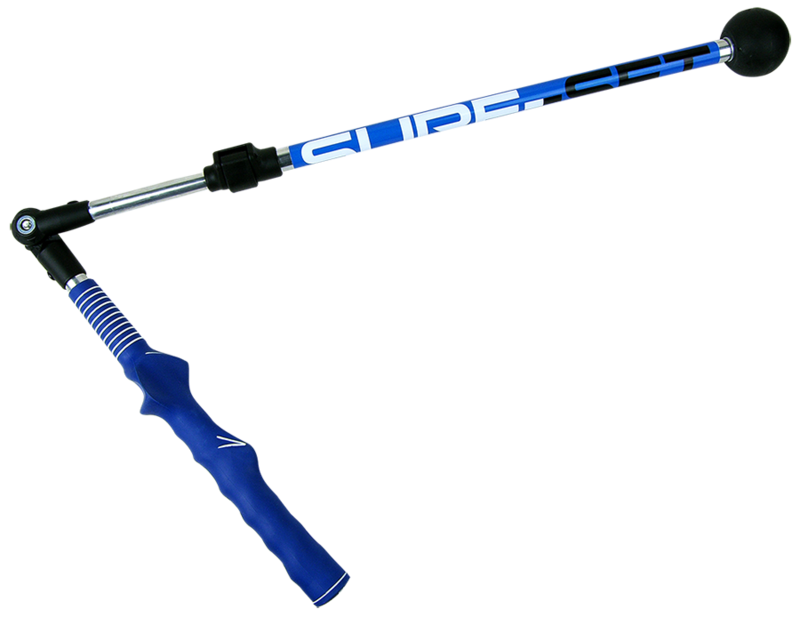 The Sure-Set is fitted with a standard-sized moulded training grip that is suitable for many hand types and sizes. It is designed to help you achieve the right new swing moves. It can be removed and replaced with a oversized golf grip should you struggle to hold it. Q. Why does it feel like my turn is restricted when I use the Sure-Set? A. If you lack flexibility (tight muscles, limited range of movement) and are struggling to make a full shoulder turn then simply try turning your right foot outwards a touch in your address position. This will help increase your range of backswing by increasing your hip rotation. If you have limited movement to make a full shoulder turn, simply try turning your foot out a touch in your address position. Q. Sure-Set makes my swing look flat? A. One of the absolute keys to using the Sure-Set is not to look at yourself in the mirror but to keep your eyes looking down at an imaginary address position/ball. By looking up you are effectively coming out of your posture position into an upright posture that would automatically flatten the arm swing. By keeping the arms down you will also be training the correct side bend and body tilt in the golf swing. Q. I am a low handicap golfer who likes to play a little fade. Will this product help me or is it more suited to shaping an inside the line draw? A. The Sure-Set is designed to suit all swing types and styles, accommodating different shot shapes. The key between changing shape of swing is the angle of the handle on the way down. The more the handle points behind you the more your swing will feel in to out. The more the handle moves out in front of you the more likely you are to swing slightly left through the ball. Q. Does the Sure-Set work for everyone no matter what their height? A. The lower height limit for using the Sure-Set is around five foot, the upper height limit is approximately six foot eight, although we haven’t yet discovered somebody with arms that are too long to use it. Q. I saw in one of your videos you had a plastic clubhead that fitted onto the Sure-Set to show the clubhead position more clearly during the movement, do you sell these? A. No we don’t currently have these in production, but it is in our plans to have it as an additional upgrade in 2019, so please check back.